Real Wind Aerial Imaging, a Part 107 sUAS services company based in Richmond, VA. 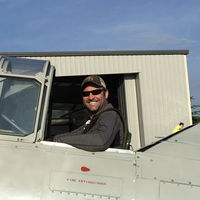 Owner, Travis Mitchel, is an airline transport rated pilot and certified thermographer. RWAI specializes in sUAS applications of multi-spectral/infrared and thermal imaging in agricultural and inspections fields. RWAI operates a variety of airframes which allows it to tackle anything from mapping 1000 acre agricultural fields for crop health analysis to inspecting flat roofs for moisture intrusion using thermal imagery.